Hero Honda Splendor Plus is an executive bike designed for the office goers with good handling and maintenance. Check out the review to get the features, technical specifications & price in India. Splendor Plus is the improved version of the old Splendor. 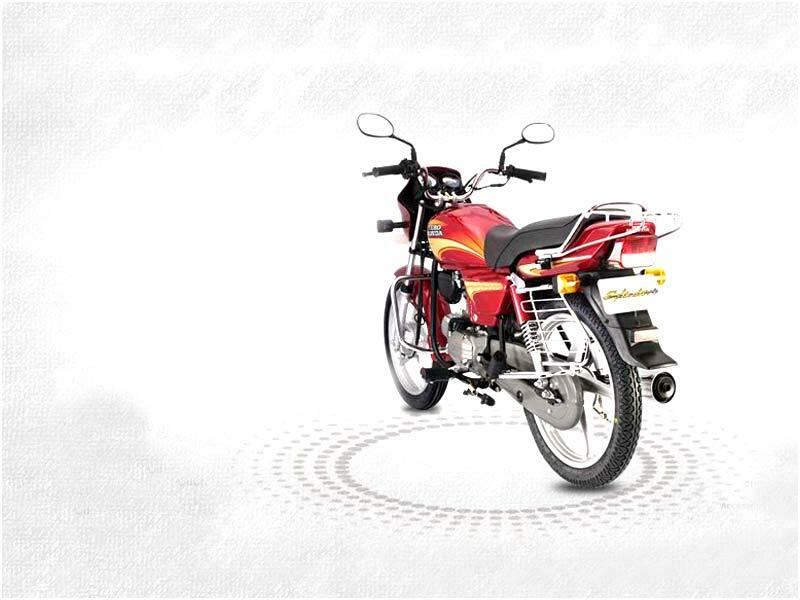 Being one of the best sellers in India, it has got several improvements including graphics, tail lamps and headlamp. It is an ideal match for the city conditions and the suspension system is well acclaimed lending a very comfortable ride. Hero Honda Motors Ltd. Launched the Splendor Plus in 2003 and the company has now introduced its variants and the launch of new versions reaffirms its commitment towards its customers. It is an executive segment bike especially made for the office goers and is also available in alloy wheel. 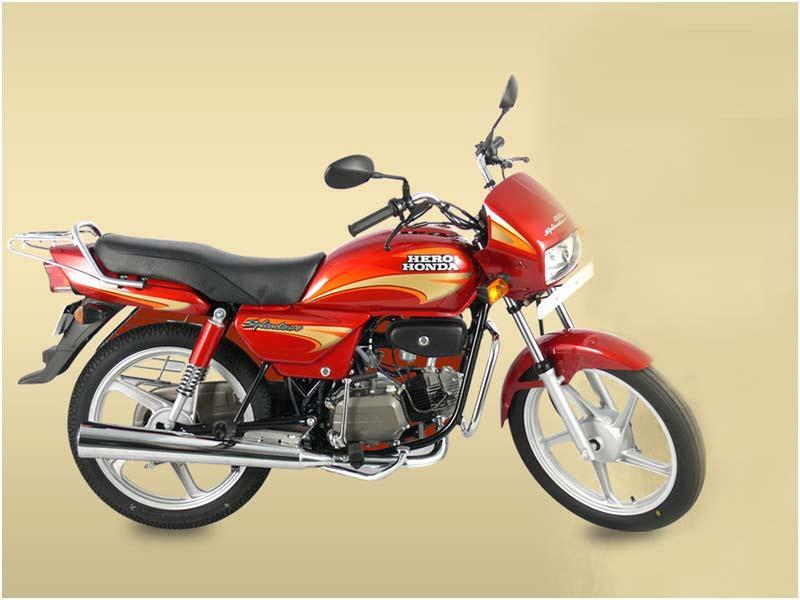 Hero Honda Splendor Plus is a 4 stroke single cylinder with an air-cooled system. There is an OHC engine that delivers a power of 5.5 Kw (7.5PS)@8000 rpm. 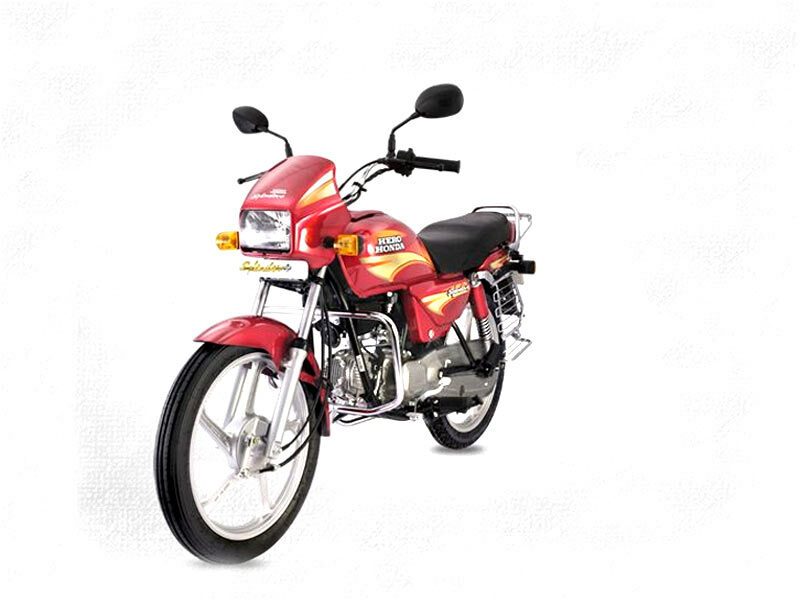 It runs a good mileage of 85 kmpl and gives optimum satisfaction to the rider in long journey. It can gain the maximum speed of 85-90 kmph and can accelerate to 60 kmph in 7 seconds. It has 4-speed constant mesh type transmission. Splendor Plus is equipped with pretty cowl at front and the sporty rear end. The cowl makes this bike a little aggressive to give the macho aspect. The dashboard of the machine is incorporated with fuel gauge and speedometer. But the analogue dashboard looks a bit tacky for the new age look. However still good enough for a commuter bike. Designed for the office goers, this executive bike has many pleasing features such as strong tubular double cradle body frame, eye catching graphics, trendy multi-reflector head and tail lamps, aluminium grib, helmet lock and new instrument panel and rear view design. The steadiness of the Splendor Plus is sourced from its double cradle frame and the wider wheelbase of 1230mm provides smooth and safe riding. Its multi reflector halogen bulb makes the night ride out of risk. Handling and maintenance comes handy in this bike and it can comfortably reach 80kmph but the vibration creeps in beyond this speed limit. The drum brakes give the bike excellent stopping power. Timely change of oil and servicing will help run the bike with long life. The improved motor is comfortable enough in riding from low speeds in high gears. Hero Honda Splendor Plus is a mutant of "Splendor" which has been upgraded as per the need & demand of bike lovers. It gives a mileage of 65-68 kmpl. Hero Honda Splendor Plus is found in 8 different colors such as Excellent Blue, Black with Purple Stripe 2, Hi Granite Blue, Candy Red, Black with Purple Stripe 1, Black with Purple Stripe 3, Black with Silver Stripe and Cloud Silver.